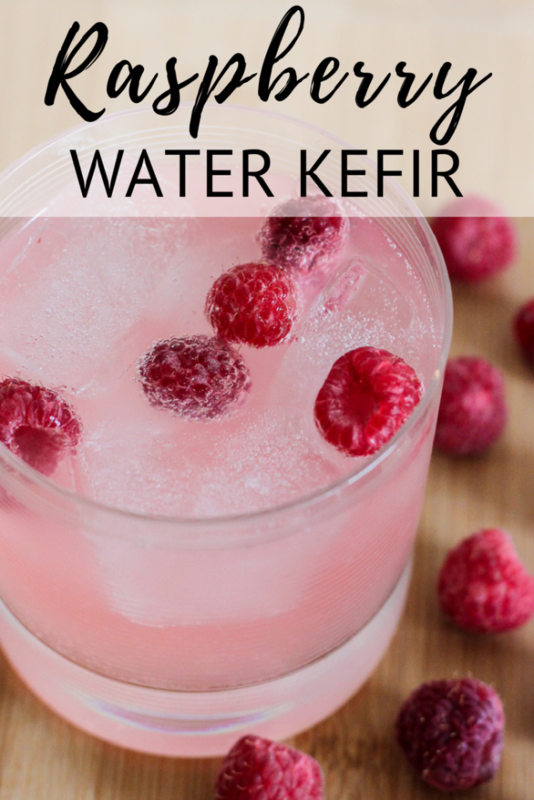 My all-time favorite way to flavor water kefir is with fresh and juicy raspberries! After what feels like a month of rain and clouds in my part of the world, the forecast is calling for sun and 60 degrees for the foreseeable future! The warm temperatures have me thinking of all the juicy berries that will be coming into season over the next few months. 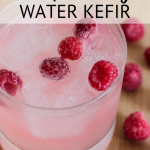 Berries are such a great option for flavoring water kefir. While blueberries and strawberries are delicious, my absolute favorite berry to use with water kefir is raspberries! First mash up the raspberries a bit so they start to release their juices. 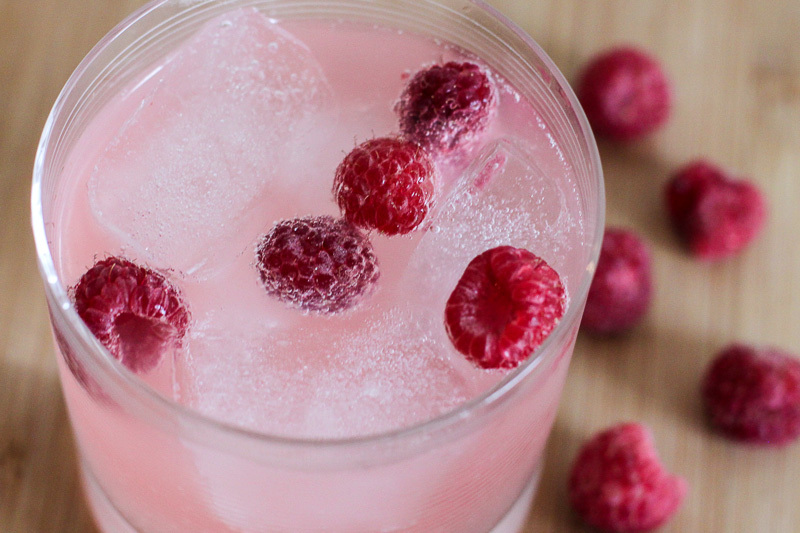 Add the raspberries and any juice to a glass bottle. Then fill almost to the top with water kefir. Screw the lid on tightly and let sit at room temperature for 48 hours. After 48 hours, move the bottle the refrigerator to chill before drinking! I prefer to strain out the raspberries right before drinking. Having company over? They are going to love this water kefir. I like to serve my raspberry water kefir in a fancy glass and garnish with extra raspberries, because why not?! Cheers! *Be sure to use a glass bottle that is designed to hold pressure. A leftover bottle from store-bought kombucha works well, or these reusable swing top glass bottles are a great option too. What type of berry are you most looking forward to getting your hands on this summer?